London was already a location having a unique Scientology significance, specifically including L. Ron Hubbard’s lectures in November 1952 (The Command of Theta) in preparation for The Philadelphia Doctorate Course. While that period initiated all that followed in terms of exteriorization, Theta Clearing and OT, this was his first return in almost three years. With the target to make crackerjack auditors, he opened with “the most fundamental fundamental that we can take up”—Rudiments, undercutting even the Auditor’s Code. 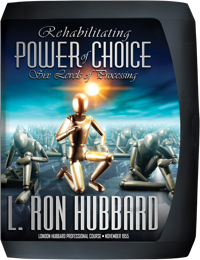 Then it was onto Six Levels of Processing to restore the pivotal point of case gain—the power of choice. Considering he had delivered no ACC for almost a year, Mr. Hubbard presented a prodigious array of new material including breakthroughs fundamental to all auditing: processes to rehabilitate a preclear’s ability to not-know, and, thereby, undo the First Postulate that led to his fall from native state; Confusion and the Stable Datum—applied to the resolution of the preclear’s present time problems and to living itself, and the handling for preclears who go out of session. Mr. Hubbard’s actions generated so much enthusiasm that the Hubbard Association of Scientologists International expanded into new quarters in one of London’s busiest locales. Mr. Hubbard’s arrival in London in September 1955 marked the beginning of what was to be a historic era of development for Scientology at large. 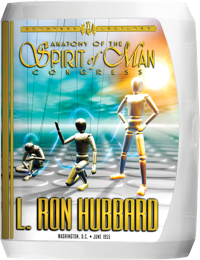 Although England contained a burgeoning field of Scientology auditors, all previous London ACCs had been supervised by others with replay of select lectures by L. Ron Hubbard from American ACCs. And so while this was to be numbered the 4th London Advanced Clinical Course, it was most definitely the first ever delivered in person by Mr. Hubbard himself. In fact, London was already a location having unique significance in the history of Scientology research and development, most specifically including Mr. Hubbard’s lectures in November 1952 (The Command of Theta) in preparation of the Philadelphia Doctorate Course. And while that period of research had, in turn, set in motion all that was to follow in terms of exteriorization, Theta Clearing and OT—from Philadelphia to Camden to Phoenix and Washington, DC—this was his first return to England in almost three years. So it was that L. Ron Hubbard first set his sights on bringing British auditors up-to-date and utilizing this ACC to make crackerjack auditors capable of clearing their zone with the latest techniques. And train them he did, instructing them on techniques developed over the previous two years which rehabilitated a preclear’s Power of Choice, most specifically the Six Levels of Processing. How to Start a Practice—Detailed from the first step of permitting the public to find the auditor, to providing the channels of communication. Yet, even with the intensive demands of an Advanced Clinical Course, this was also a period of establishment and expansion on both the public and organization fronts. Taking advantage of a first return to England—and in no small part due to public demand as word spread of his presence—the nearby New Lindsey Theatre became the site of two open-invitation public lectures by Mr. Hubbard each Saturday afternoon. His popularity and the massive reach for Scientology from new public was evident by the second weekend when every seat was filled and attendees were otherwise standing in the aisles. Providing basic technology to a populace still suffering from post-World War II difficulties, those Saturday afternoons gave Mr. Hubbard the public interaction needed to continue research and develop technology to launch new broad-ranging programs to resolve ground-level societal problems—programs and technology that would roll out one after the other through the following year. 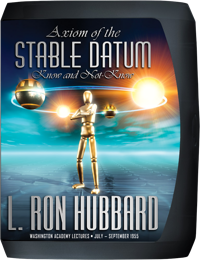 Then again, his actions generated so much enthusiasm, interest and expansion that the Hubbard Association of Scientologists International, London, rapidly outgrew its quarters on Holland Park Avenue. To accommodate expansion, the organization moved to Brunswick House, a building on the corner of Palace Gardens Terrace and Bayswater Road—one of the most traffic-jammed streets in the city. 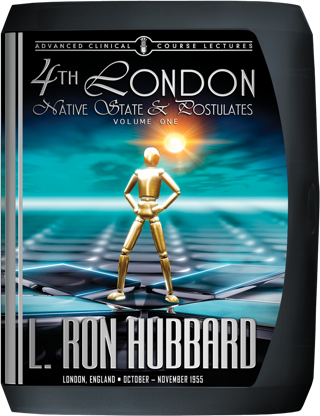 Here, then, is the 4th London ACC and the point from which L. Ron Hubbard would set the course for Scientology to assume its role on the world stage as a powerful force in the achievement of planetary survival.